Lucrosa is a new binary options product by John Lucrosa. 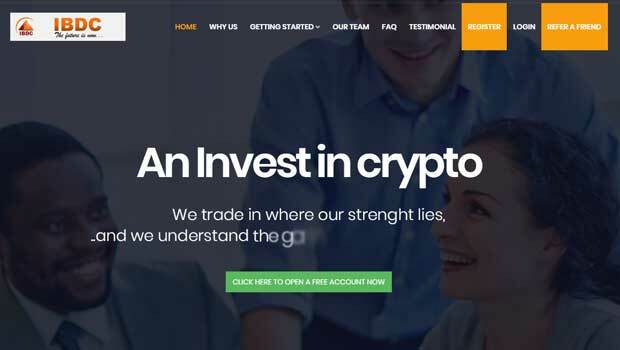 John has no reputation in the binary options market and is making some extremely aggressive claims that makes this software come across as a scam. He’s telling traders that he will give them $600 just for watching his video and then his software will earn $7,000 per day or $210,000 per month. It sounds too good to be true. Today I’ll be providing a review so that the binary today readers understand if there is any truth to John’s claims about his miracle software. I’m immediately skeptical about the Lucrosa system because it embodies all the same traits of other autotrading systems that end up being scams. Firstly, I’m disappointed in the claim that John will give us $600 just for watching the video on his webpage. If this was true, millions of people would watch this video an empty his wallet overnight. It’s never a good sign when a developer starts his sales page off with a lie. Honestly, that should be more than enough reason to look elsewhere right away. Considering how important and risky trading is, there is no room for deceit and it can’t be tolerated. My feelings are the same when it comes to the guaranteed profits of over $7200 per day. This number is too high, and it can’t be guaranteed. Any trading system that’s being promoted as risk-free should not be trusted because there is always inherent risk with trading. The Lucrosa system uses testiomonials and provides a collection of trades in the members area. 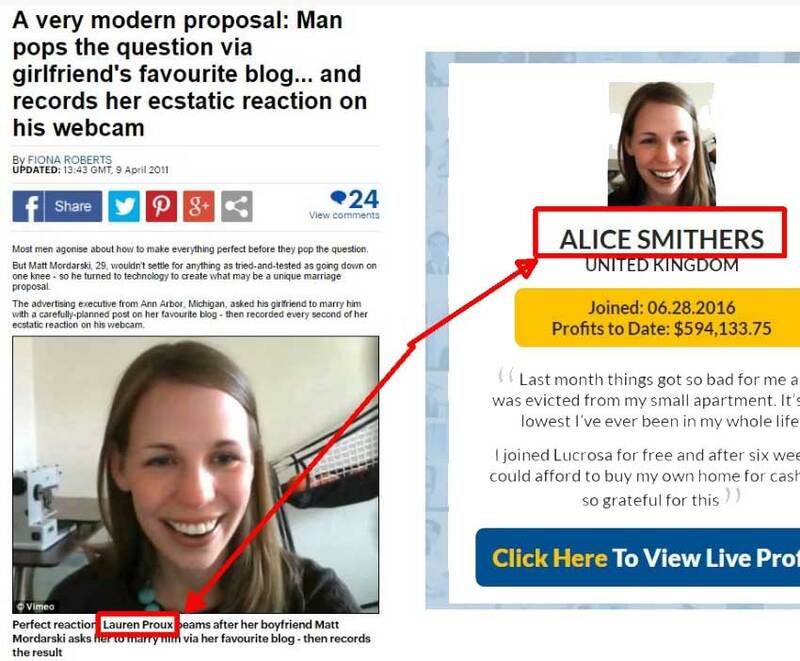 According to the sales page we can see that Alice Smithers from the United Kingdom made over half a million dollars in two months. Sadly, the image being used for Alice is actually a woman named Lauren Proux, so these testimonials can’t be trusted. As for the results table in the members area, I have concerns there as well. One of the best ways to verify trades is to look at them. I went back 5 days in their results and found that they had a collection of trades that don’t exist. The market is always closed on Saturdays but for some reason John shows many trades happening throughout the weekend. This leads me to believe that the results table is fabricated and none of these trades exist. There is no reason for you to sign up with Lucrosa binary options. I believe that John Lucrosa doesn’t exist and that this product is put together by affiliate marketers to take your hard-earned money. The testimonials are fake, the results are fake and the promises are too good to be true. 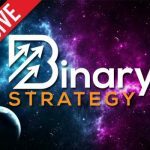 If you are truly interested in earning from binary options I suggest you go to my binary options 101 page and take a look at my personal trading strategy. Thank you for stopping by binary today and feel free to leave a comment or send me an email day or night.